Synopsis: Traffic at a congested city intersection comes to a standstill as pedestrians stop and stare at a young woman in red, striding confidently across the concrete. She eventually disappears from view; heads turn back, traffic regain its pace, life continues. This film was created for the City of Perth / Foodchain In Transit exhibition and was projected (without sound) at the Wellington Street Bus Terminal in Perth between July 19 – August 1, 2010. 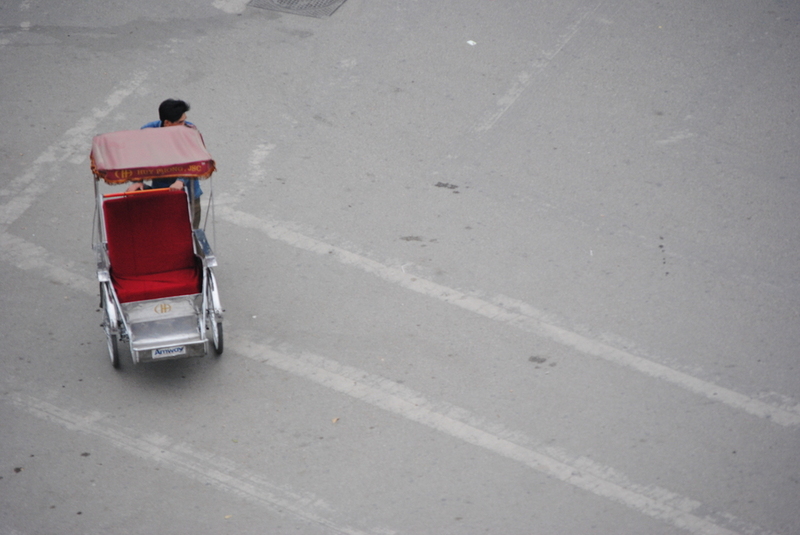 The photos were taken at a traffic intersection in Hanoi, Vietnam. 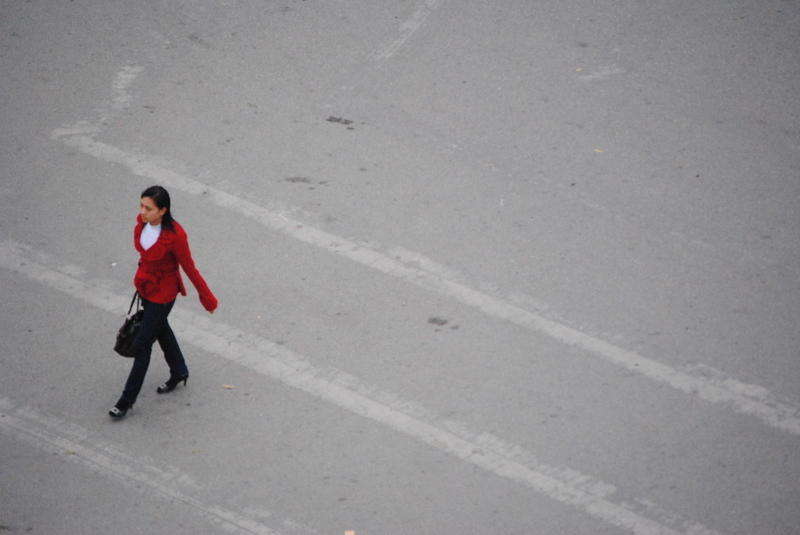 I was on a cafe balcony, several floors above, when I accidentally photographed a pedestrian in such a way that she appeared to be in a vast, empty lot. I became quickly obsessed and returned a few more times to take hundreds of similar photographs of other pedestrians.